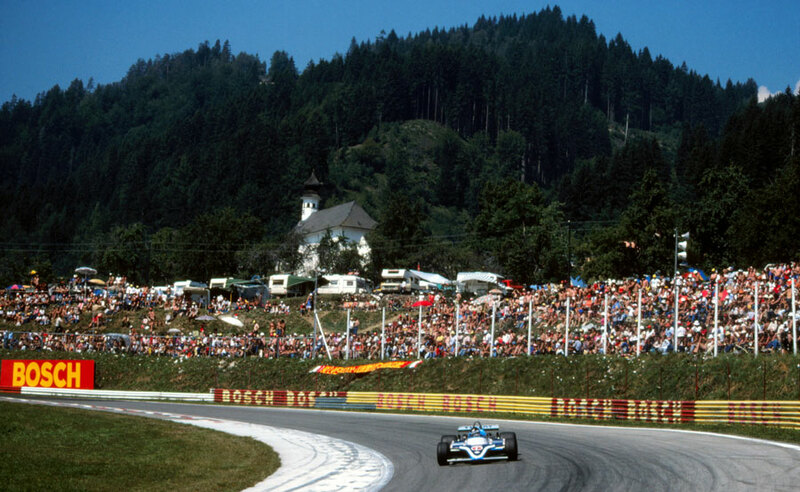 The Austrian Grand Prix was won in style by Jacques Laffite for the Talbot-Ligier team and much of the work was done by someone else many months before. It was Laffite's sixth podium in seven races and pushed him into genuine contention for the title. Former Renault driver Jean-Pierre Jabouille had been way off the pace as a Ligier driver early in the season but he had been present at a pre-season Michelin tyre test and noticed a compound that he felt would be ideal for the Österreichring. In his new role as team manager, he persisted with his belief that this was the compound to use. He was right. Renault had sewn up the front of the grid with Rene Arnoux leading at the start with Gilles Villeneuve chasing after him. Villeneuve found a way ahead on the opening lap and then tried to build a lead with Alain Prost and Arnoux riding shotgun. Laffite was fifth but gained a place on lap two when Villeneuve slithered up the escape road and dropped to sixth while Laffite worked his way up to third. Yet again the Ferraris - initially Villeneuve and then Didier Pironi - had a material effect on the race in that they acted for long periods as road blocks, concertinaing traffic behind them as they slowed at every corner only for them to race away on the straights. The Renaults continued to hold sway at the head of the field but a front-left rocker-arm broke on Prost's car on lap 27 and that left Arnoux leading Laffite but the gap was just five seconds and Laffite's tyres were in better nick than those of Arnoux. Laffite caught the Renault but had to work hard to find a way past but eventually did so to come home the winner. "My red warning light indicating low oil pressure started to flash on after only 20 laps," Laffite said. "I was expecting my engine to blow up any minute." Arnoux took second from Nelson Piquet who closed the gap in the drivers' championship to six points behind Carlos Reutemann. Defending champion Alan Jones picked up his first points in five races, but was 18 points behind his team-mate and supposed Williams No. 2.